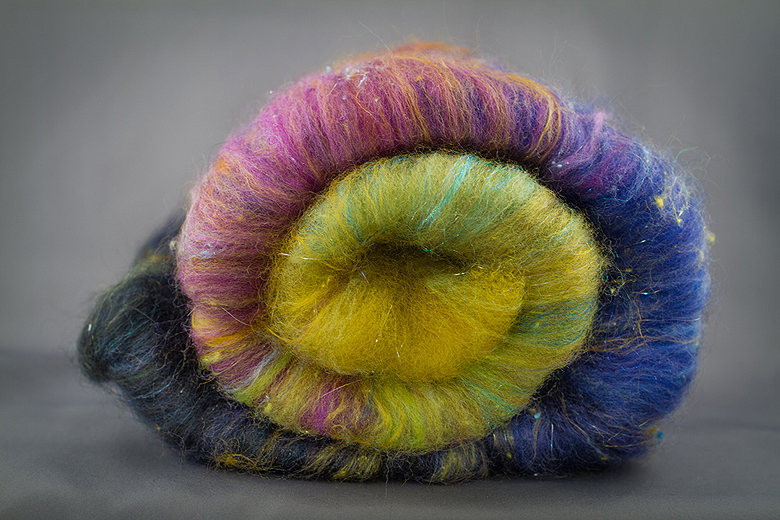 The Aurora Roving, A Novel. 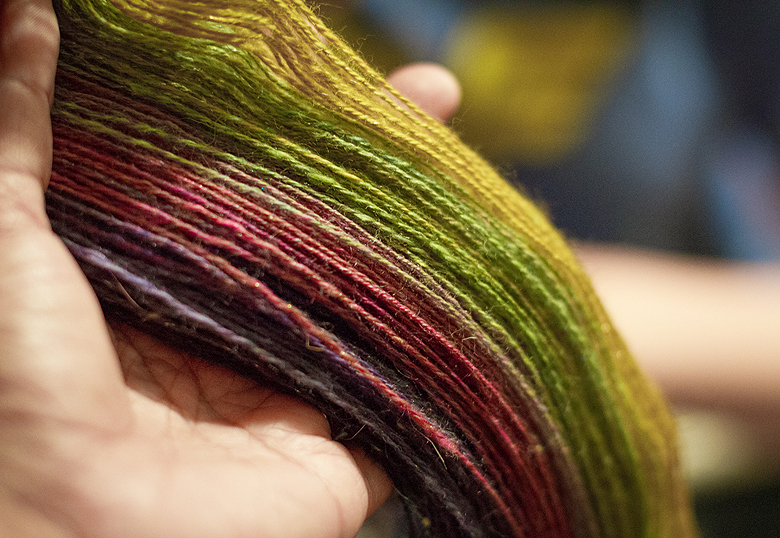 The incredibly talented Leslie has finished spinning up my aurora batt, and what a beauty! I had this idea, that I would knit this into a scarf and wear it to the arctic the day I fulfill my bucket list of shooting the aurora from somewhere north of 55 degrees. 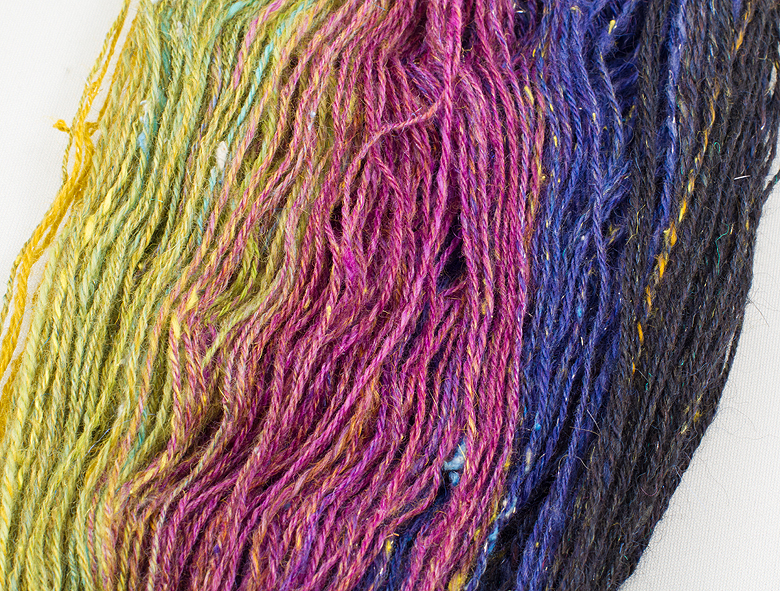 But then I thought about the yarn, and how many hands came together for this skein to be what, and where it is. 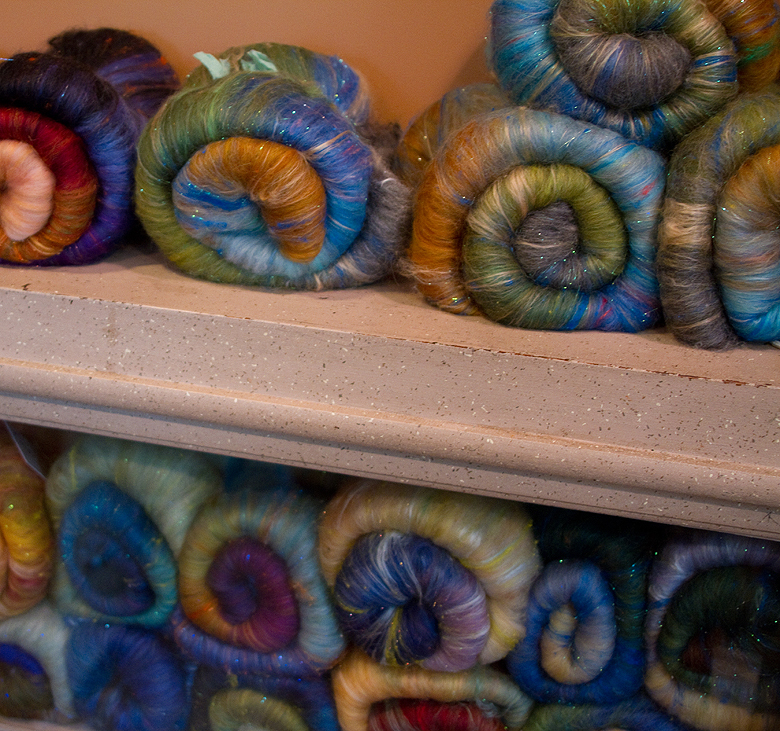 Here then, is an abbreviated story of the yarn. 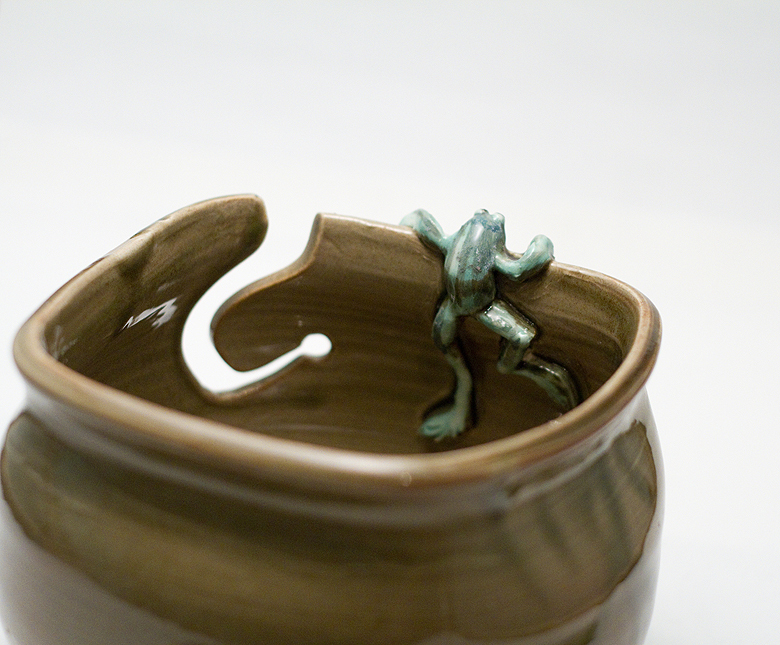 The Yarn Harlot featured my yarn bowls on her 12 days of gifts for knitters post. A convent in Boston read the post and became enamoured with the idea of a bowl, and wrote to me to order one. 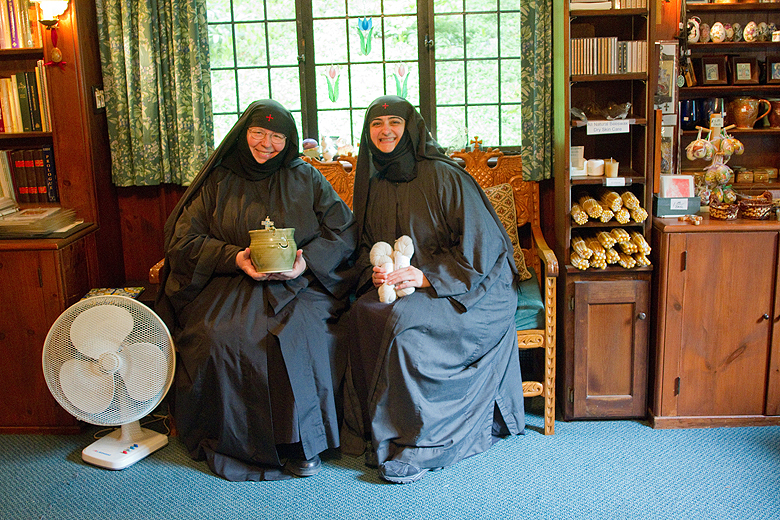 I had decided to stop selling bowls online… but how could I say no to a convent? I agreed to make one bowl for the Mother Superior (Mother Seraphima) and became fast friends with the sister who placed the order (Mother Pelagia). I decided to fly to Boston to give my new ‘pen pal’ her bowl and meet her in person. 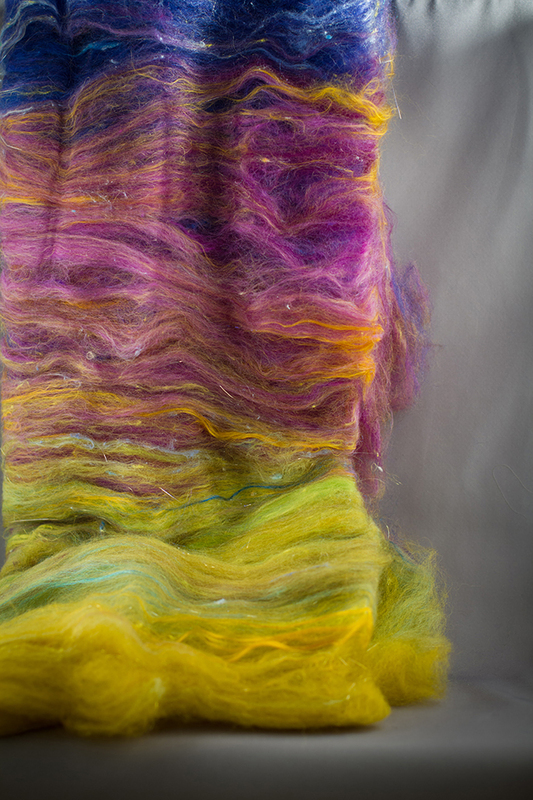 The women at the convent were warm and wonderful and gave me a great tour, including introducing me to the sister (Mother Macrina) who dyes batts of roving. 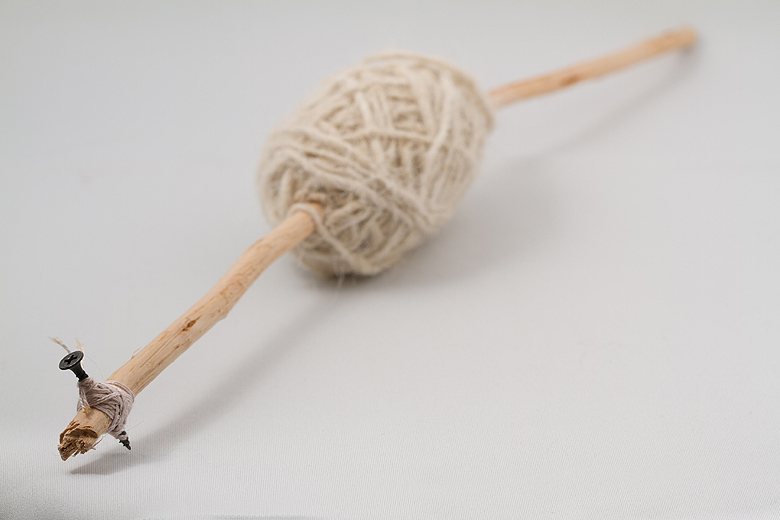 I was gifted, among other things, with a ‘drop spindle’ from Palestine – with a few grams of camel hair wound around it. Mother Seraphima had picked it up in her travels through the holy land. 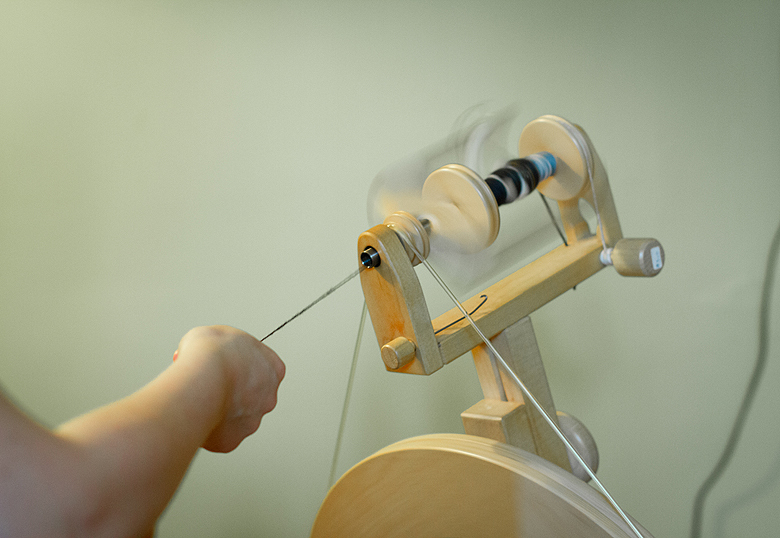 Inspired by the spindle, on my return to Toronto Tito and I took a spinning class, where we met the lovely Leslie who would eventually spin my aurora batt. 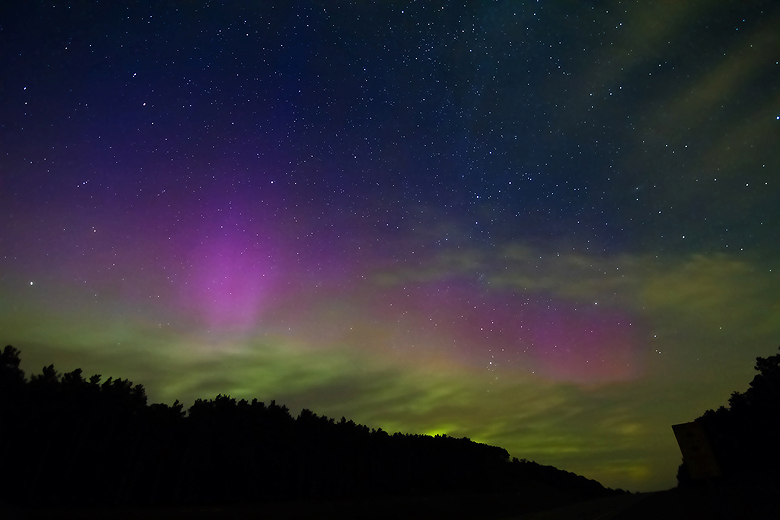 Later that summer we caught some fabulous northern lights, just north of Barrie ON. Mother Macrina wrote to me asking if she could use the photo as an inspiration for dying a batt of roving (I was honoured). That Christmas this gorgeous thing arrived in the post. I was totally blown away, the colours were perfect! 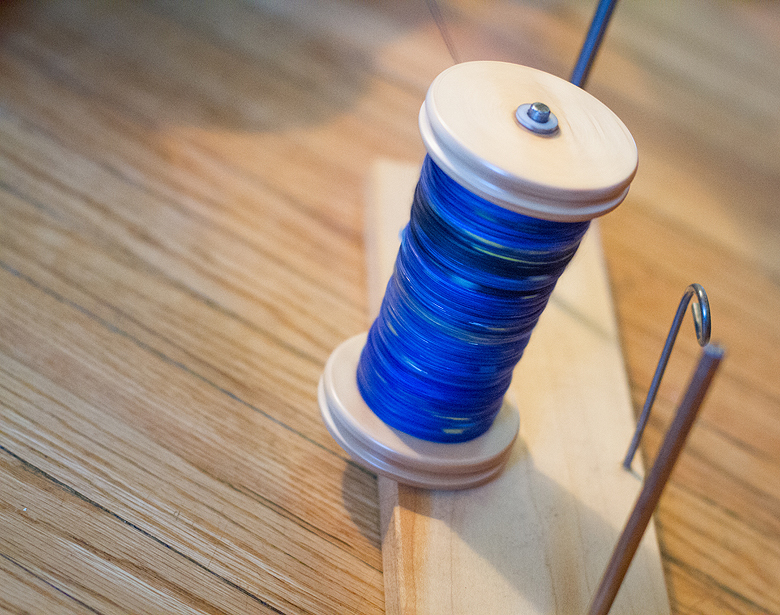 Not wanting to butcher it with my own fledging skills I commissioned Leslie to spin it. 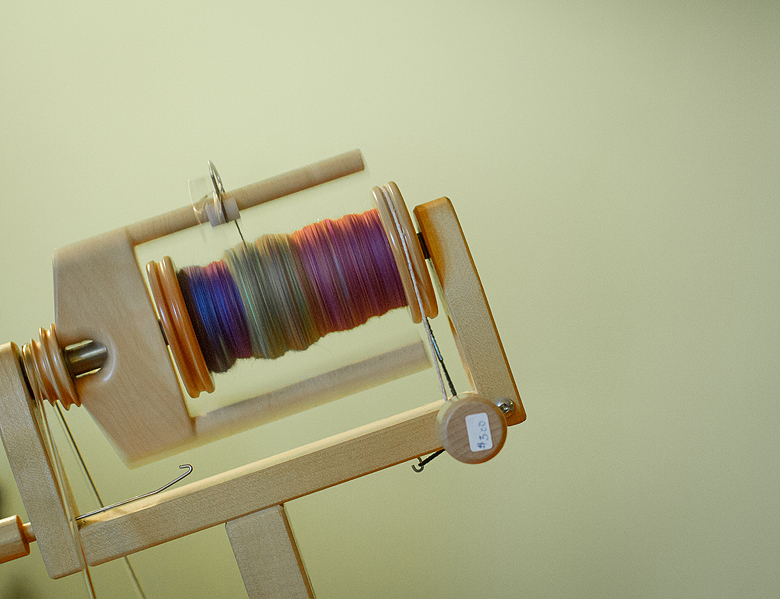 She did an amazing job – keeping the colour sections together and chain-plying it to maintain the gradient. 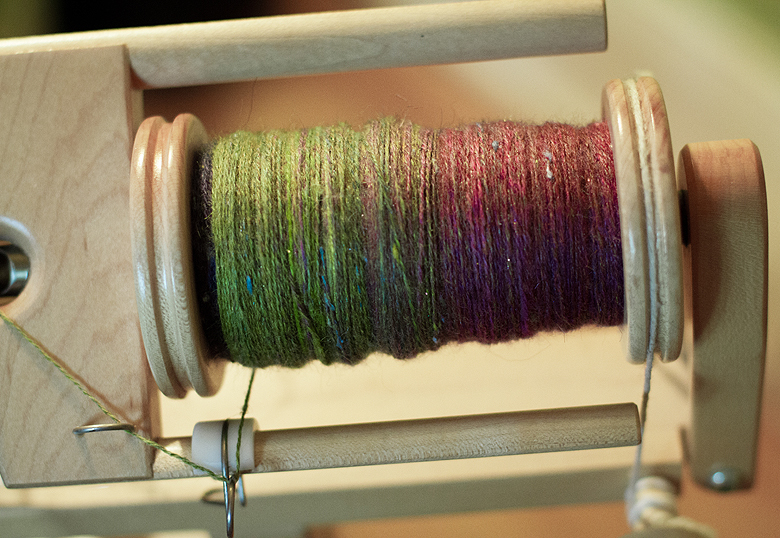 I no longer feel like it’s a skein of yarn to make a thing out of. I feel like it’s a great story, filled with amazing women, who have contributed their inspiration and skill to what now feels like a collaborative piece of art. 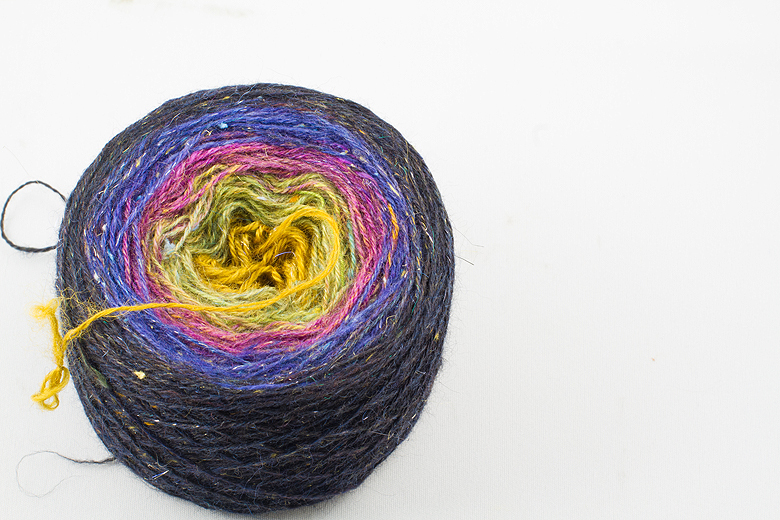 In keeping with that, my plan it to knit it into a simple tapestry to hang on the wall, framed. 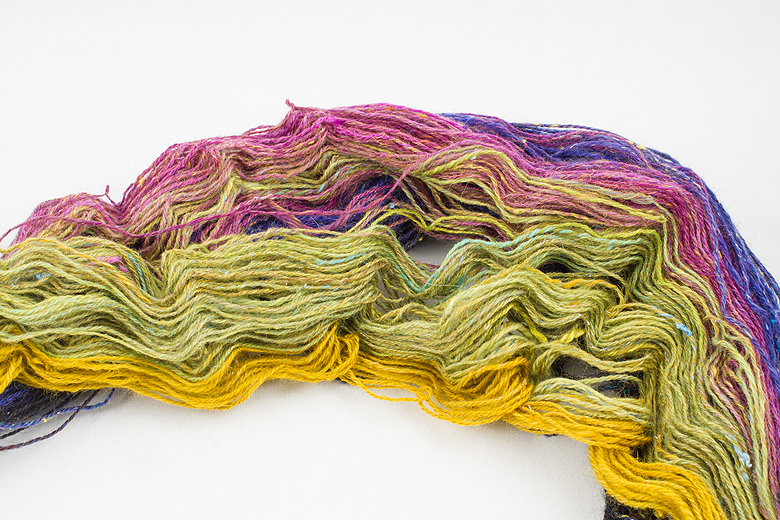 What an amazing story of the “threads of connections”! Well, you’ve really topped them all in this one, Shireen! I loved your story, loved the personal sharing & kindness …. AND, your photography, the colours and the colour matching were breathtaking.